Living our Catholic Faith through involvement in our parishes and community brings many blessings. We are nourished by the support and friendship of others, we can feel energized and enthused about making a difference in the lives of those around us and as we reflect on our involvement in the light of faith can come to see God working in and through us. In this edition of e-news, we outline some ways in which you might like to become involved and highlight various upcoming events in which you may like to take part. Remember to keep in touch with faith, ministry & spiritual formation through Catholic Faith & Life, www.facebook.com/cfldow and Twitter: @CFLDOW or phone Darren McDowell on 4222 2463. 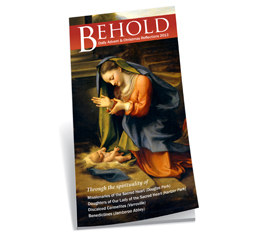 Behold: Daily Advent and Christmas Reflections - ORDER NOW! Due to the overwhelming success of last year's pocket-size daily Advent and Christmas reflections book, we are delighted to announce that the Diocese of Wollongong is now taking orders forBehold – Daily Advent and Christmas Reflections 2013. Advent is such a busy time of year, but it is so important that we spiritually prepare for the coming of Jesus Christ at Christmas. Behold contains short daily reflections from the beginning of Advent (1 December 2013) through to the Epiphany (5 January 2014) primarily for personal use. 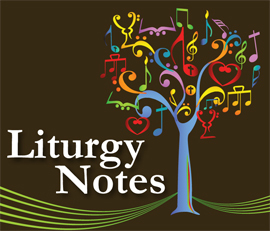 Each day contains a one-page reflection with two pages for Sundays and major feast days. The daily reflections have been written by four religious orders that also run retreat centres in the Diocese of Wollongong. The aim is to provide reflections that are both theologically and spiritually rich (from the spiritual perspective of the religious order writing each reflection), yet accessible to the average reader. It also contains details about upcoming retreats at each of the retreat centres as a next step for readers who would like to go even deeper after the program has finished. Behold also features beautiful religious artworks from our rich Catholic history with enlightening “artwork spotlight” descriptions written by Fr Sean Cullen PP (Bowral). Behold costs only $2 (incl GST) plus shipping for those outside the Diocese of Wollongong. If you live in the Diocese of Wollongong, please contact your parish or school to reserve your copy. Delivery is expected the week of 18 November 2013. 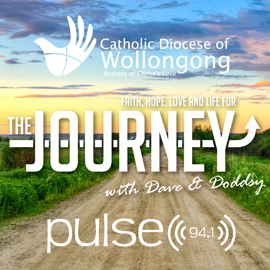 If you live outside the Diocese of Wollongong and would like to order Behold, you can download an order form below and email/mail/fax back to us or contact Jenny Raposio directly at (02) 4222 2411 or jenny.raposio@dow.org.au. If you live outside Australia and would like to order Behold, please contact Jenny Raposio before filling out the order form so that we can advise you of the shipping costs. October is National Mental Health Month, the theme this year is “Kindness – little acts, big impacts.” This theme encompasses acts of generosity and altruism towards others; ways that encourage acceptance and appreciation of the things that others do for us. By bringing kindness into our own lives we can help to maximise our own wellbeing and that of others. This theme fits well into our Catholic ethos and challenges the stigma around mental health. The St Vincent de Paul Society helps break down social isolation and maintain wellbeing. The Society has supported two programs, Compeer Friends and Social Recreation in the Illawarra for many years to help alleviate some of the social stigma associated with mental health issues. The Social Recreation Program has been a Special Work of the St Vincent de Paul Society, Wollongong Diocese since 2002. We work within a recovery framework to offer positive social interactions to people in our community living with enduring mental illness. The Social Recreation Program provides a social outlet for people who are isolated and who need support to reconnect with others and their communities. The program operates two days a week and offers bus transportation, allowing up to 34 members to enjoy activities and outings each week. This group setting allows for peer support and friendships to evolve in a safe environment. We all need people to connect with, we all need friendships, and we all need a sense of belonging. 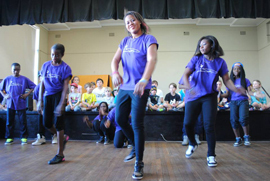 Our program helps to build confidence and a sense of self. Positive social support and friendships are essential for building resilience and maintaining wellness. Our program has a dedicated team of volunteers who assist in encouraging participation, independence and interaction and allow people opportunities for new experiences. We are currently seeking an additional bus driver to add to our volunteer team. If you are interested please phone Alanna or Fiona on 4276 4241 or email alanna@svdpwgong.org.au. Join us in the Wollongong Mall for a day of information and entertainment as the mental health sector come together to celebrate World Mental Health Day, Thursday 10th October 11am-2.30pm. Pastoral Care is a way of responding to the invitation of Jesus to "Love one another as I have loved you" (John 13:34). 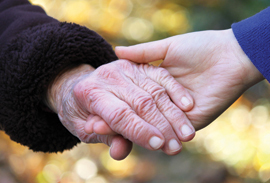 Pastoral care is caring companionship to others. It is about responding to the emotional and spiritual needs of others in their time of need. “I was sick, and you visited Me" (Matt:25:36). As a community we need to affirm and value older people as they go through these changes and challenges in their lives. By taking the time to listen to the heart of their story we enable them to find meaning in their story and their circumstances, connection with their feelings, and value and hope in their life. Through our response, we too, are offered the opportunity to grow in faith, hope and love as we are transformed by the grace of God flowing through us to those we encounter in our pastoral care ministry and in our daily lives. "I would just like to say that the Pastoral Care training was a wonderful experience and the knowledge and skills learnt have been of great benefit to me." Or contact Nicolle Anderson-Brown Community Visitors Scheme Coordinator; 4254 9342 mobile 0418 483 413 or email nicollea@catholiccare.woll.catholic.org.au. Around 150-200 people took the opportunity to explore Illawarra’s cultural diversity at a recent Cultural Diversity Event held on Saturday 24 August at St Peters and Paul (SSPP) Catholic Parish in Kiama. This event was jointly organised by the SSPP Parish’s Social Justice Committee and SCARF Inc (Strategic Community Assistance to Refugee Families), a volunteer-based organisation who assist refugees granted humanitarian visas to enter Australia and who have been settled in the Illawarra. Fr Chris Roberts (Parish Priest) welcomed visitors and gave a prayerful reflection on valuing and respecting cultural diversity. Mayor of Kiama, Councillor Brian Petschler gave an acknowledgement of country and shared some stories reflecting his personal commitment to cultural diversity. Sharyn Mackenzie, SCARF’s Program Coordinator and co-founder, highlighted the range of programs that SCARF provides to the diverse refugee communities it supports in the Illawarra region. In the parish hall, people seemed enthralled listening to and watching the Burmese choir and dance group and the Togolese story dancing. The small kids loved watching the Congolese hip-hop dancing (they had seen this dancing two weeks prior when Sadok visited the two schools to demonstrate hip hop dancing). SSPP Catholic primary school students sang Australian songs in harmonious acapella. Corpus Christi Catholic High School students sang a beautiful rendition of the “Hallelujah” song made famous by the ‘Choir of Hard Knocks’. They also demonstrated their newly acquired hip hop dancing skills! Terese Ngoy sold her African Kabedi design clothes. Judi Goodwin, a local artist, displayed her paintings of women from different cultures and donated 20% of her painting sales to SCARF. In the parish meeting room people gathered in a large circle to listen to four people of refugee background in turn talk about their personal journeys as refugees: Bainous from Sierra Leone, Bu Meh from Kayah State, Burma, Gracia from DR Congo and De Wa from Chin State, Burma. They read stories to us from their culture, captured with beautiful illustrations in a book called ‘Traditional Tales’ published by SCARF. Parishioners commented on the festive atmosphere of the afternoon. The Mayor’s wife, Sue Petschler said “the afternoon was inspiring.” This event was complemented by a moving liturgical powerpoint with music for Migrant and Refugee Sunday shown in Masses the same weekend.